GSM voice traffic termination is a telecommunications business that brings profit quickly and without much time and money. But, as in any business, a strategy is important to achieve success. Your profit in voice termination depends on the approach you choose. We will talk about several components of a successful strategy in this telecommunications industry. 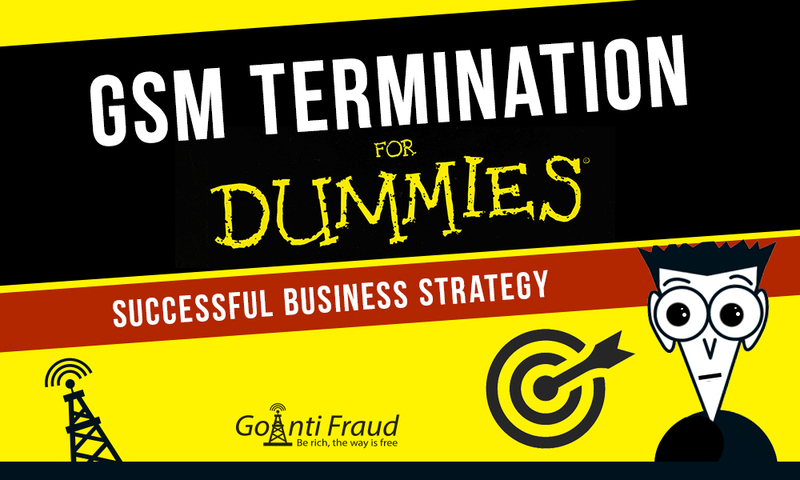 To obtain a stable income, it is important to comprehensively approach to the start of business in termination. That is, you need to create an effective system that will work for you. What should this system include? Functional and inexpensive equipment. For a profitable business, you need the right equipment, both in terms of functionality and price. We recommend GoIP gateways, they are inexpensive and effective in performance. Special software. In order to minimize the SIM block (card blocking by the operator’s Antifraud systems) and to automate the operation of SIM cards, special software is needed. Then you will waste less time and cards. Experts’ assistance. To properly set up a business, you need assistance of professionals with experience in this particular field. Specialists take into account the region of work and help develop the logic of termination for successful earnings. 24/7 technical support. Regular and timely maintenance is a must-have for the termination business. Qualified specialists will help you in case of any problems with software or hardware. This will prevent from idle time at work and, accordingly, from loss of profits. Well-organized cooperation with the traffic provider. The traffic provider is, in essence, your client who pays you money for landing this traffic. Therefore, it is important that the traffic provider constantly supplies you with minutes. To implement a comprehensive approach in mobile voice traffic termination business, the best solution for the beginners is to use a turnkey solution that includes everything needed to work. GoAntiFraud offers comprehensive business packages NewBusiness for startup. In fact, this is a turnkey business, using which you can start earning immediately.